As an old Navy veteran who served on the aircraft carrier USS Kitty Hawk as a young sailor during the Vietnam War, I’m pleased to discover that the old girl is still useful. BREMERTON, Wash. (NNS) -- Sailors from USS John C. Stennis (CVN 74) conducted damage control and medical trainings during three damage control "rodeo" events held aboard the decommissioned carrier USS Kitty Hawk (CV 63) May 16-18, June 13-15 and July 11-13. John C. Stennis' damage control and medical departments were unable to hold the "rodeos" on their own ship due to maintenance work being conducted during its planned incremental availability (PIA), but still wanted to give their fellow Sailors the most realistic experience possible. Enter ex-Kitty Hawk, the Navy's last conventional-powered aircraft carrier, held at Naval Inactive Ship Maintenance Facility Bremerton, and just a quick walk away from John C. Stennis. 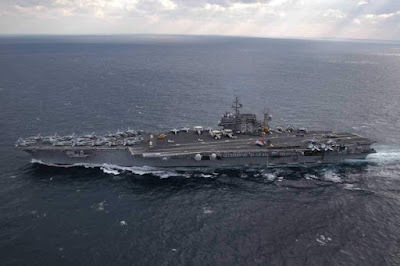 Though Kitty Hawk was decommissioned in 2009, it remains largely intact and shares many basic similarities to modern Nimitz-class aircraft carriers, making it an ideal location for this type of training. "To be able to use a retired aircraft carrier, with as much space as there was, affords us the opportunity to keep our Sailors trained while performing the maximum amount of maintenance aboard the ship during the availability," said Cmdr. Ken Holland, John C. Stennis' Chief Engineer, from Littleton, Colorado. John C. Stennis Sailors responded enthusiastically to the opportunity to train aboard Kitty Hawk. "This gets people excited," said Lt. Ruth Johns, John C. Stennis' ship's nurse officer, from Flagstaff, Arizona. "This [damage control rodeo] just contributes to making it more real. It gets everybody back into the training mindset and really focusing on the mission." Sailors received hands on training with damage control equipment at multiple stations set up throughout Kitty Hawk's hangar bay and on the pier, including dressing out and working in firefighting ensembles (FFE), carrying stretchers, setting up wood and steel shoring, using dewatering equipment and handling active fire hoses. "I love hands on experiences, it helps me learn better," said Ship's Serviceman Seaman Andrew Whitehurst, from Miami. "The fact that we get to touch everything and learn all the parts is pretty cool." 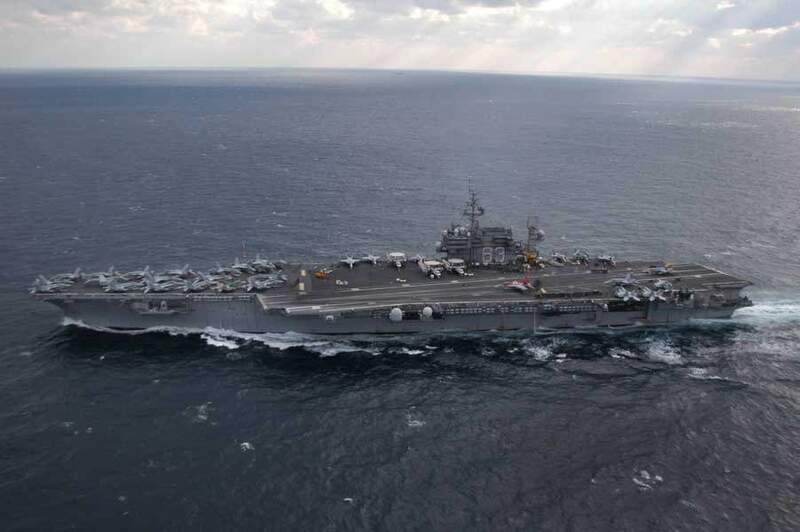 As the end of PIA draws closer, John C. Stennis Sailors will need to shift their focus from maintenance to operations, and the need for damage control training will become more prominent.